I use blue and white for main colors represent "Bright Future". The theme is "Minimal and elegant". 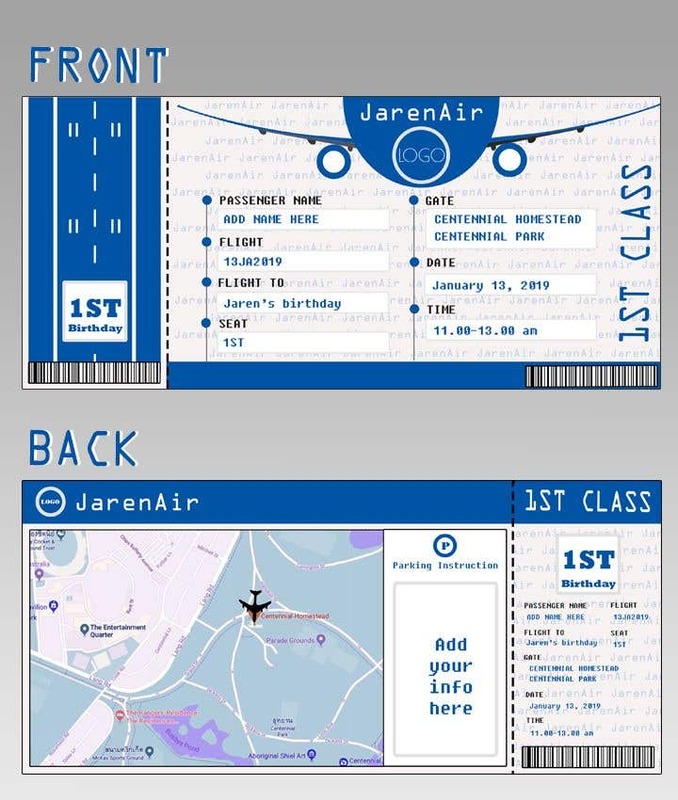 Flight represents the birthday's date, and seat No. represents 1st anniversary. For the graphic map, I can do in other ways as you would love to. Wish you like it!